Mica clays, sometimes known as metallic clays, are one of the most beautiful special effect polymer clays available. They are easy to use and, with their sparkling array of colors, can be used in a multitude of different projects to create stunning effects. 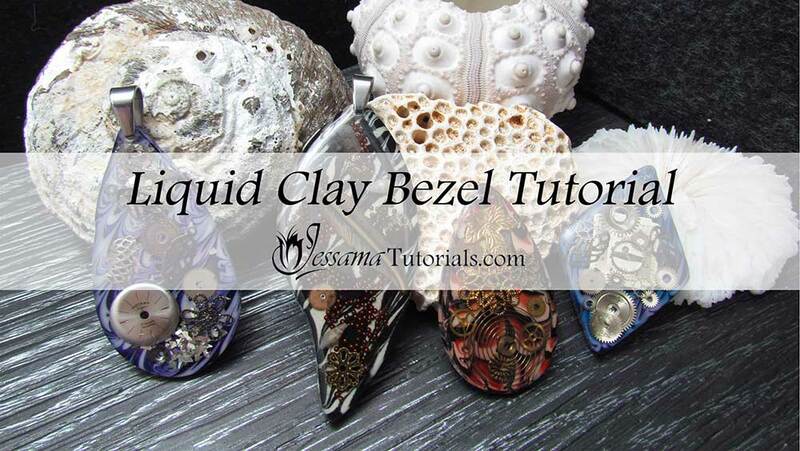 Whether you plan to create the beautiful mica shift or simply use metallic clay in your mokume gane sheet, this clay is a must have in your clay collection. The possibilities are endless. 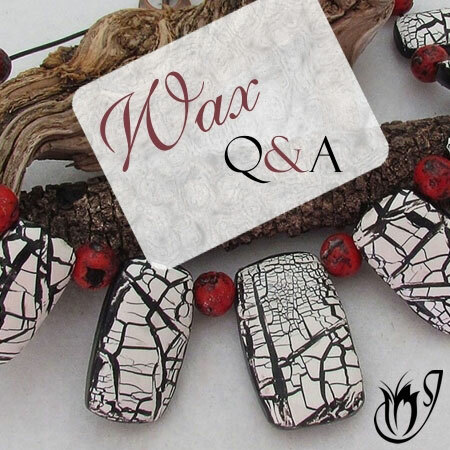 In this article I'll explain how the mica particles in the clay work, as well as, what to use it for and how to get the most out of it in your polymer clay jewelry. The sheet on the left has the flat side of the mica disks facing up so that you get the lighter gold look. The sheet on the right has the edge of the mica disks facing up giving the sheet a dark gold look. 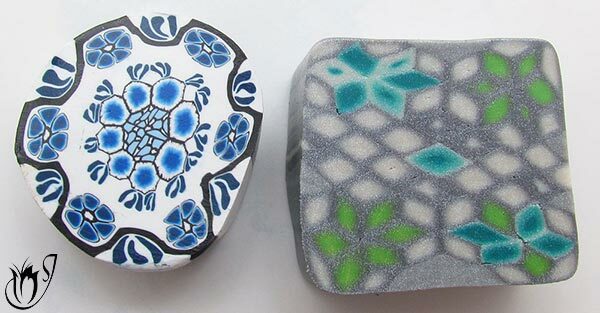 Mica clay is basically translucent or colored translucent polymer clay that has been infused with colored mica powders. The mica powders are made up of tiny flat disks. The flat side of each disk has a light color and the edge of the disk has a darker color. 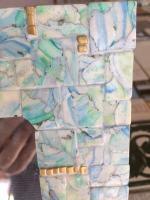 You will notice that you can see streaks of light and dark in any mica clay block. This is because the disks are not all aligned in the same direction. Some are flat while others are standing on their sides. In order to work effectively with mica clay you need to get the clay to where it is one solid color. This involves flattening out the mica disks so that they are all aligned face up rather than some being flat and others on their sides. 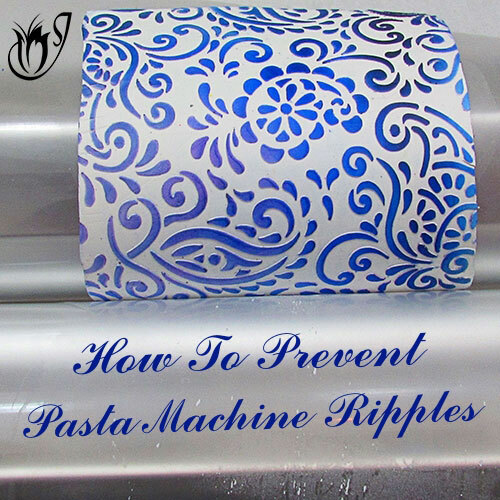 To align the disks, run the clay through your pasta machine over and over again. After a while your clay will show a uniform color. All of the disks are now lying flat. If you were to cut through your sheet and look at the edge you’d find that it would be a darker color because you would be looking at the edges of the discs rather than the tops. It is vital not to skip this step when working with this polymer clay, otherwise you will not achieve the effects you are looking for. Mica clays are made up of two types; pearlescent and metallic. The metallic clays are exactly what they sound like; metal colored clays. 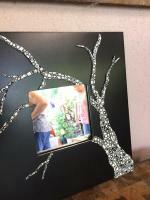 They are typically available in pearl white, silver, bronze, copper and various golds. They have a high mica content and are a good choice for creating a mica shift. The pearlescent clays, on the other hand, are brightly colored, but have a lower mica content. Premo has both types in their range. They offer many different pearlescent colors from peacock blue to sparkling red. Their metallic clays include the standard pearl white, silver, copper, bronze and various golds. Fimo has a good selection of pearlescent and metallic clays in their Fimo Effect range. Not as many colors as Premo, but enough for most polymer clay projects. Kato only has metallic clays and I have found these to have the highest mica content of any brand. They only come in four colors; gold, copper, silver and pearl white. However, the Kato range also includes concentrates which can be mixed into Kato’s metallic clays to create almost any color, without affecting the mica content. The concentrates are available in green, as well as, yellow, red and blue primaries - perfect for color mixing. 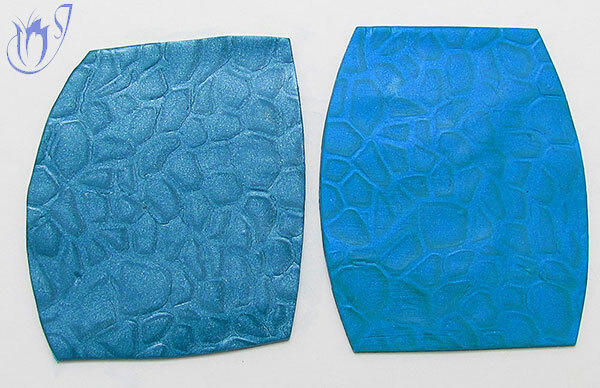 The best, and most popular use for metallic clays is the famous mica shift. This simple technique is an indispensable weapon in your polymer clay arsenal. It's easy once you know how, but it can be a bit tricky to master so I have put together a video tutorial to show you how to get your mica shift just right. In my opinion, Kato is the number one polymer clay to create mica shifts with, because it has the highest mica content. The higher the mica content of your clay, the clearer and more defined your mica shift will be. The Premo or Fimo Pearl, Silver, Gold and Copper have a lower mica content than Kato, but they are an adequate substitute for the Kato clays. Be careful when trying out a mica shift with Premo or Fimo pearlescent clays though. They don’t have a high enough mica content to make a good mica shift. You can solve this by mixing in some white mica powder or black mica powder depending on the color of your clay. This will alter the color a bit, but will boost the mica content enough to get a good enough mica shift to use in projects. 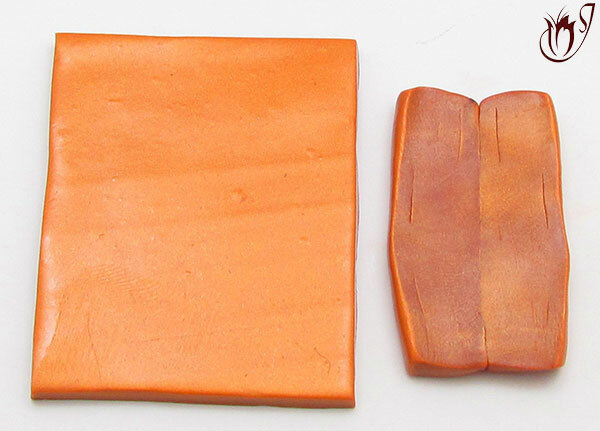 You’ll notice that the Kato polymer clay sheet (left) has a much better mica shift than the Premo sheet (right). The Kato’s color was achieved using Kato concentrates and Pearl White Kato clay, while the Premo is the standard Peacock Pearl color. Overall , for the best mica shift, I strongly recommend using Kato metallics. Faux polymer clay metal. The mica clay gives off a beautiful metallic shine once sanded. You can also antique the clay to get an aged metal look. Faux shell techniques such as abalone and mother of pearl. The mica imitates the natural shine of shells like these perfectly. 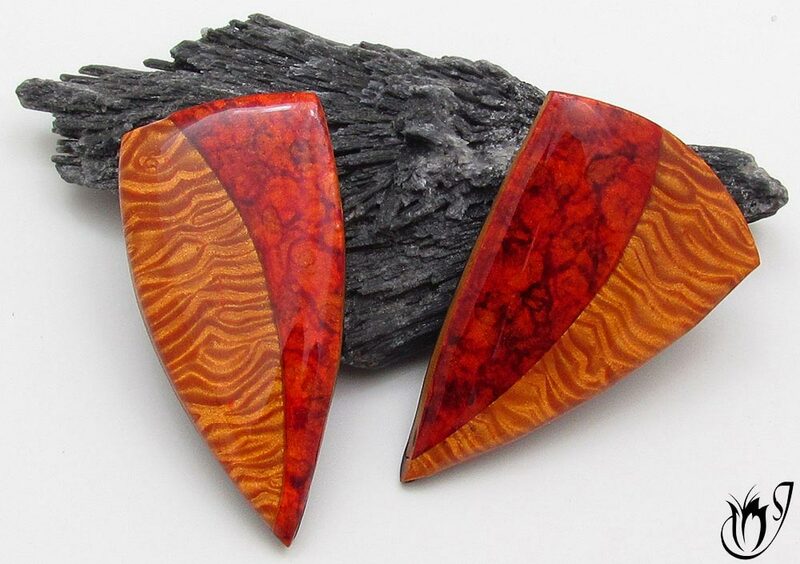 Faux polymer clay stones that naturally contain mica like tigers eye or gold stone. As a background for alcohol ink. Once baked the mica will shine through the alcohol inks and give the whole piece a bit of sparkle. 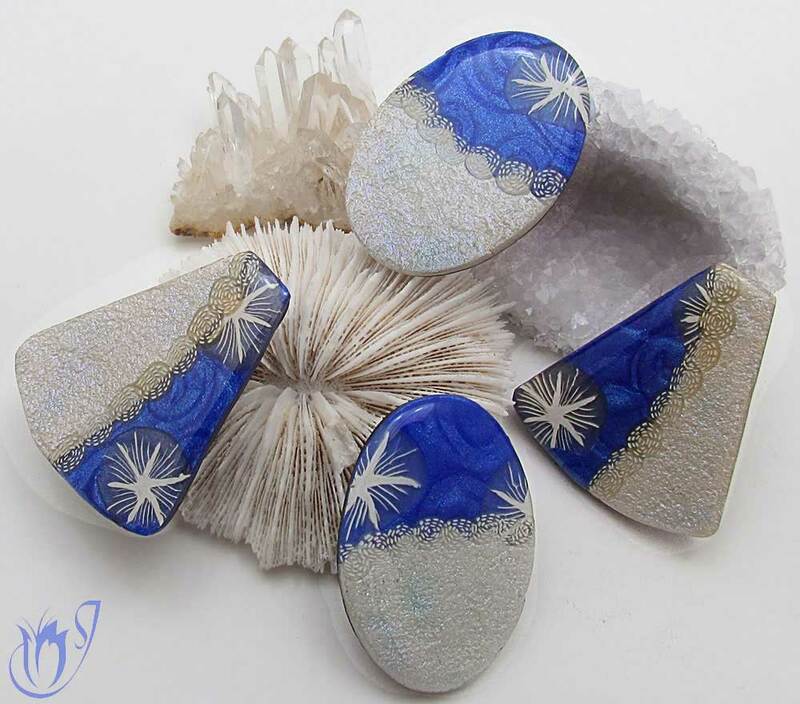 You can also use mica polymer clays for mokume gane, simple textured sheets and almost anything else that you would use regular polymer clay for. However, please be aware that mica clay does not play well in canes. More about this next. 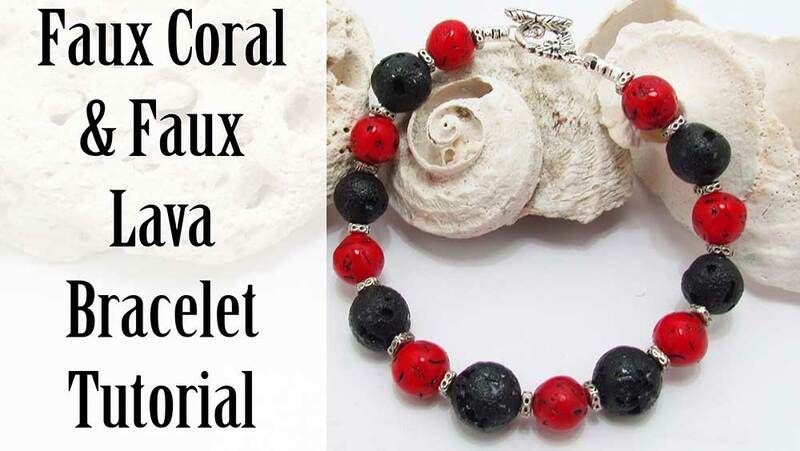 These beads were created using a mica shift with gold kato. The red side is alcohol ink dotted onto a gold metallic clay background. Mica polymer clay isn’t perfect and cannot be used for most canes. The mica content in the clay reduces the crispness of the colors and dulls down the image in the cane. I’ve tried many different canes to see if I can find a way around this, but haven’t succeeded. Mica clay is just not suited for canes with intricate patterns. It will completely ruin your effect and you’ll have to start all over again. 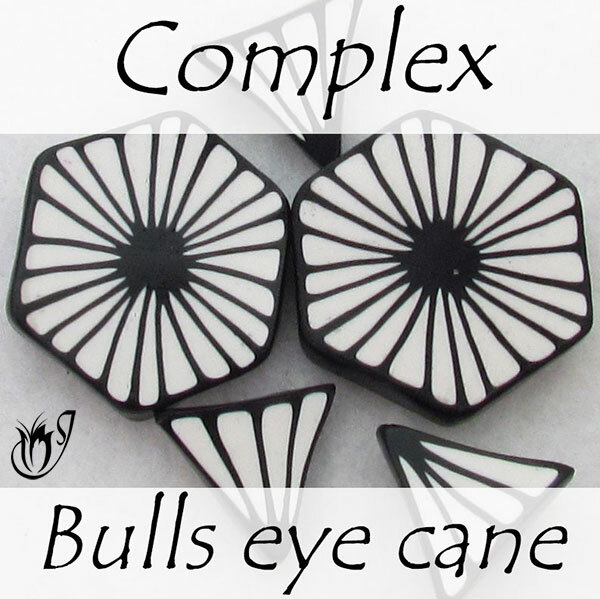 You can use it for more basic polymer clay canes like bulls eye canes and jelly rolls though. The cane on the left has a wonderfully crisp look to it. It does not contain mica polymer clay. The cane on the right has been made using metallic and pearlescent clay. As you can see the lines between the colors are blurred and don’t have a crisp look. The shiny effect in the mica clay comes from the tiny disk shaped mica particles mixed into the clay. Don't forget to align the mica disks in your clay before beginning your polymer clay project. Premo, Fimo and Kato all carry metallic clays in their ranges. Fimo and Premo also carry the pearlescent clays. Kato metallics are the best option for creating a good mica shift, and because of the availability of concentrates, you can create almost any color with them. Mica clay works really well in faux polymer clay techniques from aged metal to faux shells. 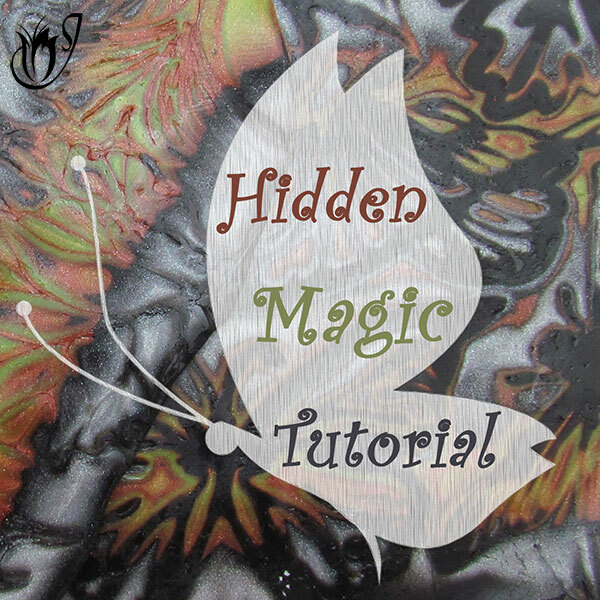 It provides a great background for effects using alcohol inks and pastel powders as it produces a wonderful shine once baked. The only downside to this clay is that it's terrible when it comes to creating canes. These beads are called Midnight Winter since the mica shift and textured pearl polymer clay give it a snow against a clear night sky look. 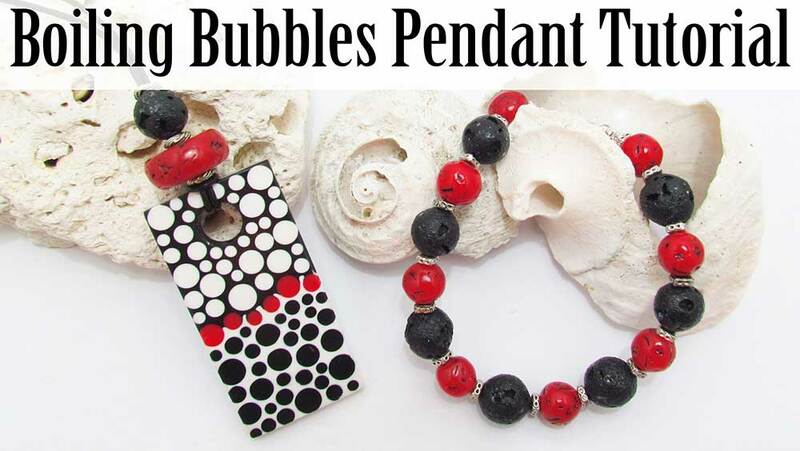 There are so many polymer clay designs that just need that extra bit of sparkle and depth. 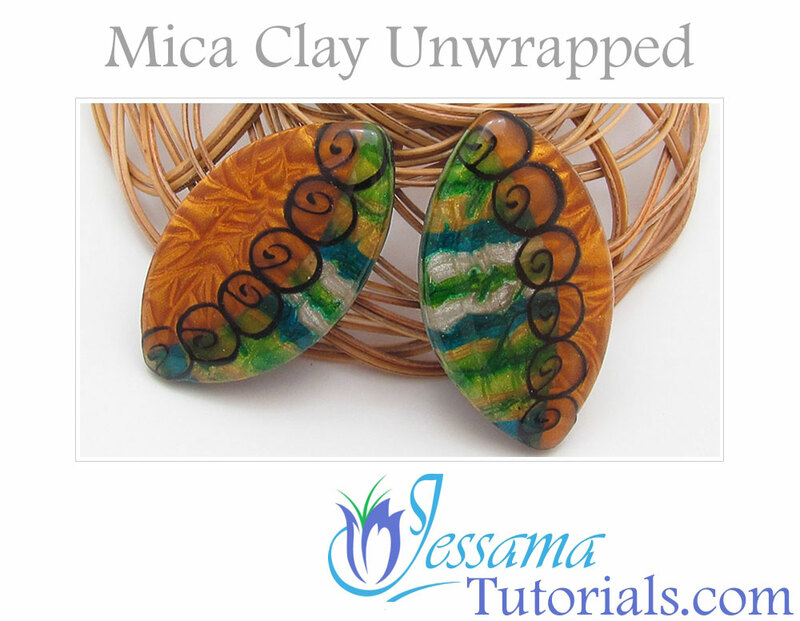 Mica polymer clay is an easy and effective way of adding that extra something that makes your creation stand out above the rest. Try using the Kato metallic clay for your mica shifts as it's the best for that specific technique, but for any other mica clay technique, other brands will do just as well. I generally alternate between Premo and Kato depending on what I need for my project. 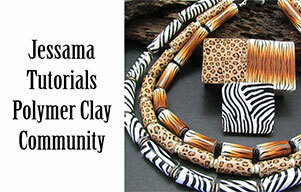 I recommend mica clay as a must have in your polymer clay supplies no matter what brand you're using. Leave your comments and questions below and please remember to like and share with your friends.